Christ the King Catholic School opened its doors to two hundred students on September 5, 1961. Fifty students were enrolled in each of the first through fourth grade classrooms. The Sisters of St. Joseph of Carondelet were chosen to staff the school. The first year of operation the school was staffed entirely by religious. The original school consisted of eight classrooms, a library, a health room, faculty room and two offices. With the addition of another first grade class of fifty students each September, the school reached its full capacity of 400 students, eight grades, and its first graduating class in June of 1966. This same year marked the beginning of departmental teaching in the three upper grades. In the 1970’s Christ the King Catholic School added Kindergarten classes. The Parent Association (PA) was formed to provide fund raising, parent education, and social events. The first School Board was elected as an advisory body to assist administration in formulating school policy. In the 1980’s the addition of a Learning Center brought much-needed technological advances to Christ the King. Extended Day Care was also introduced to provide before and after school care for students of working parents. The annual Parish Festival, which began as a one-day carnival, has grown to a two-day major event full of fun activities. A new junior high wing was built and opened in January of 1999. The school suffered a devastating fire in its central school building in May of 1999. With much hard work, dedication, and loving hands a new school was constructed and opened its doors for the 2000-2001 school year. Christ the King Catholic School’s tradition of academic excellence was continued in March 2004 with the renewal of accreditations from the Western Catholic Education Association and the Western Association of Schools and Colleges. 2007-2008 saw a major upgrade to our classroom technology. ActivBoards and ActiVotes were installed in all classrooms to bring interactive technology to our students. Teachers received iMac laptops to incorporate their lessons with this new technology. The Media Center computers were upgraded to dual platform iMacs to allow both Microsoft and Apple technologies. In 2009-2010 the beautiful Garden of Blessing and Prayer Gardens were completed. They provide a peaceful meditation space, an outdoor nature classroom, a fruit and vegetable garden and Stations of the Cross. Throughout their years at CTK, all students spend time working and learning in these gardens as part of the school curriculum. 2010-2011 began with a 6 year renewal of our accreditation from the Western Catholic Education Association and the Western Association of Schools and Colleges. It also brought the addition of an outdoor amphitheater to our campus. Located at the edge of our junior high wing, it provides open seating for classes, small performances, and many other school and parish activities. In 2011-2012 we celebrated 50 years of providing Catholic education to our community. Our amphitheater was dedicated in honor of this milestone. In 2014-2016 we participated in the Western Catholic Education Association and Western Association of Schools and Colleges (WCEA/WASC) accreditation process and were awarded a renewal of our accreditation for six years in the summer of 2016. A protective fence with vehicle and pedestrian gates was also completed in July 2016. Our 2017 school year began with the opening of our newly renovated Media Lab and Library. It is a multifunctional space with mobile shelving and tables, regular and soft seating, whiteboards, a Lego wall, and wireless projection and technology capabilities. 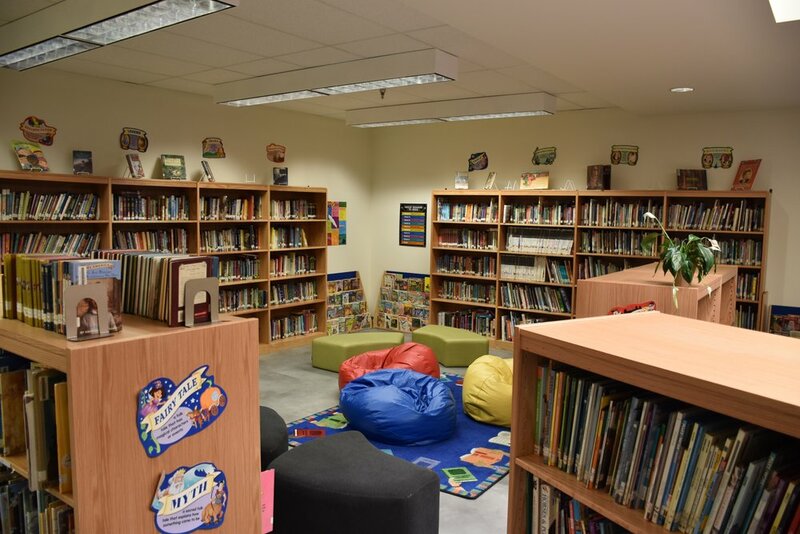 Its flexible design and welcoming atmosphere meets the needs of our youngest students up through our faculty and staff and adult community members.